Setting sail for a multi-day adventure is an enriching and worthy experience, regardless of your location. Here at Seattle Sailing Club, we offer instruction on how to prepare for, and safely enjoy an overnight cruising adventure. Our entire fleet is available for charter by qualified members, and we encourage it! All of the cruising vessels are well equipped and ready to go. Even the smaller, more day-sail-oriented boats are great for a Puget Sound trip that feels a little closer to camping, or a perfect form of fun and exciting transportation between romantic resorts or bed and breakfasts. 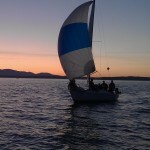 Overnight Chartering with Seattle Sailing Club is affordable, fun, and hassle-free! You don’t have to go far to feel a world away! 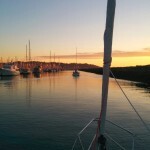 A single overnight or several-day tour of local hamlets can be the perfect sailing get-away. There are many great options close to SSC. Poulsbo is a beautiful little village with Scandinavian roots. The marina has guest moorage on the 2 north docks “E” and “F”. Poulsbo is full of places to eat, shop, and escape the busy city life. Sluy’s Poulsbo Bakery is the place to go for sweets, they are known for their incredible donuts and Scandinavian pastries. Pick-up your pastries and head to American Legion Park which is just a boardwalk away offering grassy areas to play and an arboretum. 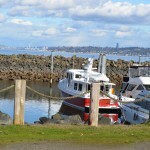 Manzanita Bay is located on the northwest side of Bainbridge Island. Anchor for the night and enjoy the peace an quiet. During the day, sail around and check out the beautiful houses on the East and West shores. Port Orchard is located near Bremerton, but it’s scenery is quite the opposite. The town’s old-fashioned feel has covered side walks and tons of antique shops. The waterfront is full of shops and a big park. During the Summer, the park hosts concerts and a farmer’s market that is help every Saturday from May to October. 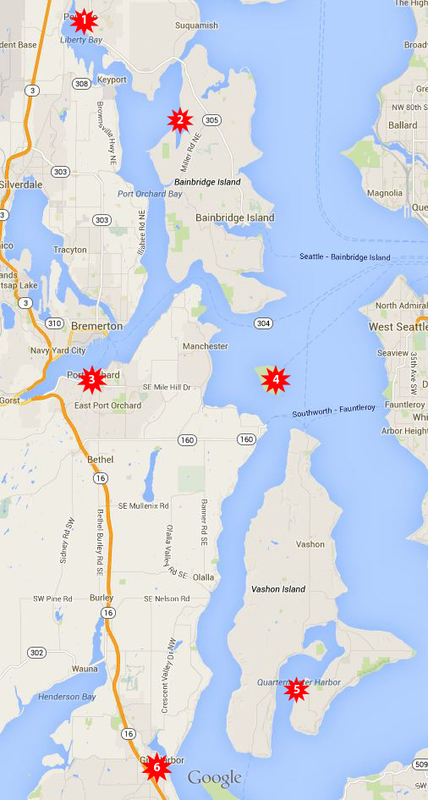 On the 4th of July, Port Orchard hosts their Fathoms o’ Fun Fireworks show. Blake Island has 475-acres of land with hiking and biking trails throughout. The Suquamish Indian’s campground in Tilicum Village hosts a traditional dance performance and salmon dinner throughout the Summer. Sleeping on the boat is always fun, but if you like camping, bring your gear and have a camp out on shore. The docks fill up quickly in the Summer and if there are no dock spaces left, use the mooring buoys around the island (bringing a dinghy is suggested). Quartermaster Harbor is uniquely 4 miles long and joins Vashon and Maury Island. This is the only protected cove on Vashon which provides amazing anchorages. This is a great place to escape the commercial hub-bub of the city and relax for a weekend on the water. Gig Harbor offers sailors all the necessary amenities. On the southwest shore there are 2 docks for overnight guest moorage. There are a couple restaurants on the water, but just a short walk up to town there are many more options for food. For fun check out the galleries, shops, Gig Harbor Peninsula Historical Museum, or head to the viewing platform to catch a glimpse of Mt. Rainier. 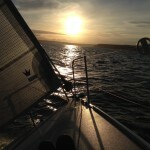 Cruising the San Juan Islands is easy with Seattle Sailing Club! 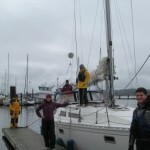 Mid-May to mid-October, SSC rotates 2 SSC 30′ to 40′ cruisers in Cap Sante Marina, Anacortes. The boats are available for overnight charters and are just a hop, skip, and a jump away from the beautiful islands. 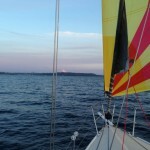 The San Juan Islands are located about 55 nautical miles north of Seattle Sailing Club. There are 172 islands that provide protected waters for sailors, but the breeze stays fresh due to the proximity of the Strait of Juan de Fuca. From quiet anchorages, world class sailing picturesque harbors to marinas packed with people and activities, each island has a unique feel. While cruising around, keep an eye out for pods of Orcas who appear throughout the Puget Sound. With an abundance of rich natural beauty and innumerable itineraries, it is easy to fill up a day, week, or even a month of relaxation and fun cruising in the San Juan Islands! Cap Sante Marina is located in Anacortes, WA and is about a 2 hour drive from Shilshole Bay Marina. 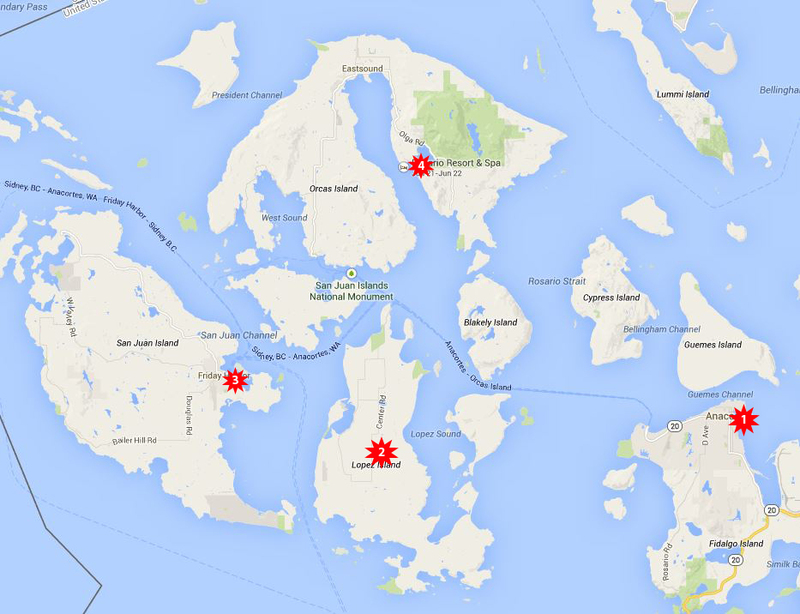 This is where our boats are located during mid-May through mid-October. There are grocery stores, restaurants, and shops within walking distance of the marina. Lopez island is known primarily for its farming and has a pretty small population. Fisherman’s Bay is the place to go for shops and services. In Fisherman’s Bay there are 2 guest moorage docks. San Juan Island is the second largest island in the San Juan Islands. Friday Harbor is the most popular port on the island and provides tons of services and shops. Friday Harbor is said to be one of the oldest fishing villages on the West Coast and their 2-3 story wooden buildings are a true example of it’s history. Orcas island is the largest island in the San Juans. It is the most mountainous of all of the islands and has Mt. Constitution which is a 2,400 ft mountain with beautiful hiking and waterfalls. Rosario Resort is located on the #4 star, which is a resort that offer moorage to guests of the resort and sailors who would rather stay on their boats. Their spa services and pool are open to the public at a small cost. A great place to get a massage after your sail!